Bebe Stores, the retailer for women’s clothing has just become the most recent in a group of retailers to have suffered an attack on their payment card processing system. The company stated Friday that information containing the verification code, expiration date, account number and cardholder name of its customers could have possibly been stolen. Apparently, hackers had access to the system for payment processing from November 8 through November 26. The problem was first discovered over the last few days of November, when Bebe said they started to notice suspicious and strange activity on the equipment that operates the system for processing payments. The stores affected approximately 200 that are located in the Virgin Islands, Puerto Rico and the United States. The company released a message to the public that advised customers whom had paid with a credit card in the Virgin Islands, Puerto Rico or United States, between November 8 and November 26, to review and check their account statements for suspicious and unauthorized activity. Credit card safety for United Stares retailers has been nothing shy of bad over the past couple of years. Millions of debit and credit card numbers over the past few years have been stolen in security breaches at stores including the UPS store, Neiman Marcus, Super Valu, PF Chang’s, Home Depot, Target amongst others. In many recent cases, a portion of the attacks committed were made at the payment processing terminals, using very sophisticated malware and viruses that recorded and stole card information as customers swiped their credit or debit card. Many of the crimes were discovered only because the numbers then would appear for sale on black market forums on the Internet. That occurred with the credit card information breach at Bebe Stores. Information involving the hack was made first, earlier in the week through a very closely followed blog, known as the Krebs on Security. In part, because of the repeated attacks, the United States card-payment industry will slowly be moving to a greater security chip-based technology next year. 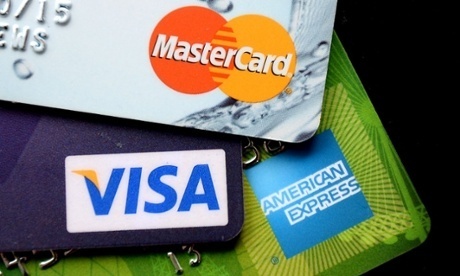 These types of credit and debit cards are quite popular in Europe, and have many additional features involving security making it very difficult for theft to be compromised.